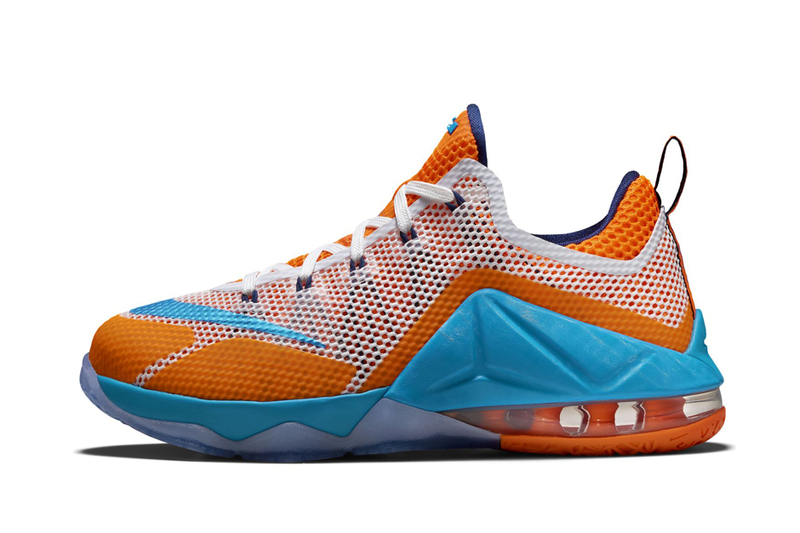 It Looks like the Nike LeBron 12 Low isn’t finished just yet. 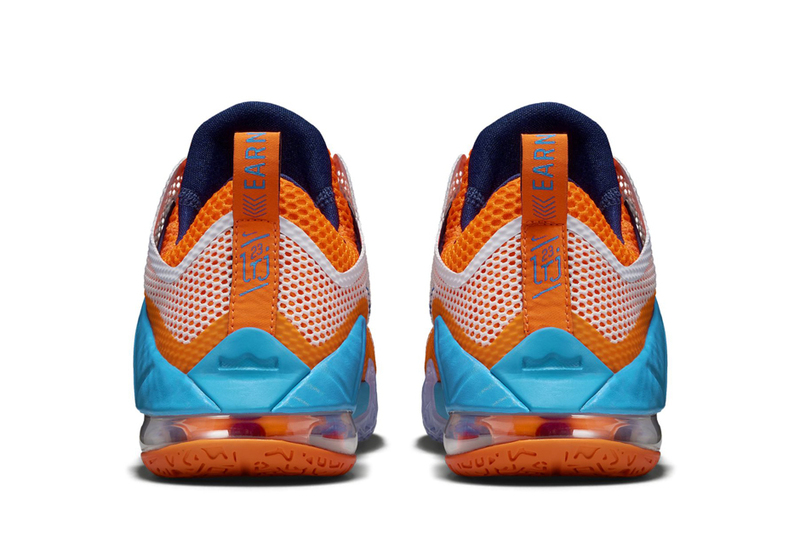 Here we get a look at a new grade school size run of the lowtop variety of LeBron’s former model right before we’re about to get a retail release of the LeBron 13. The colors should be familiar to anyone that had to sit through a late 90s early 2000s Cavaliers game, as the atrocities that were their uniforms featured a similar color scheme of light blue, orange, and black. 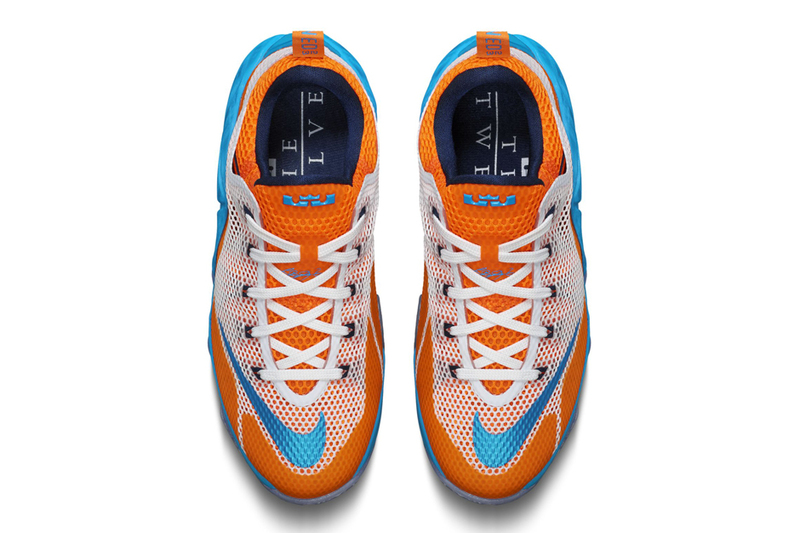 This LeBron 12 Low manages to make all of the hues coincide though thanks to a clean white mesh base while the remnants of the Hyperposite overlay shines in a powder blue to contrast the heavily featured orange throughout. 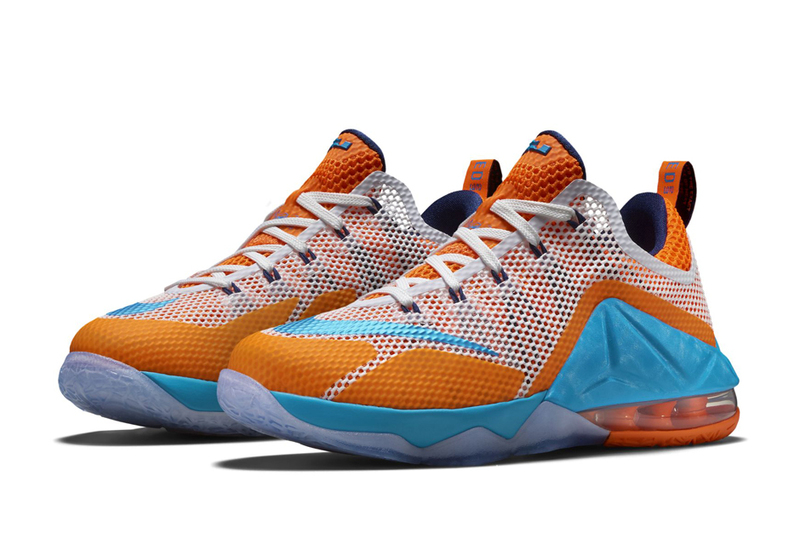 No word yet on a release date for what could very well be the last Nike LeBron 12, but we should be seeing this pair arrive any day now.